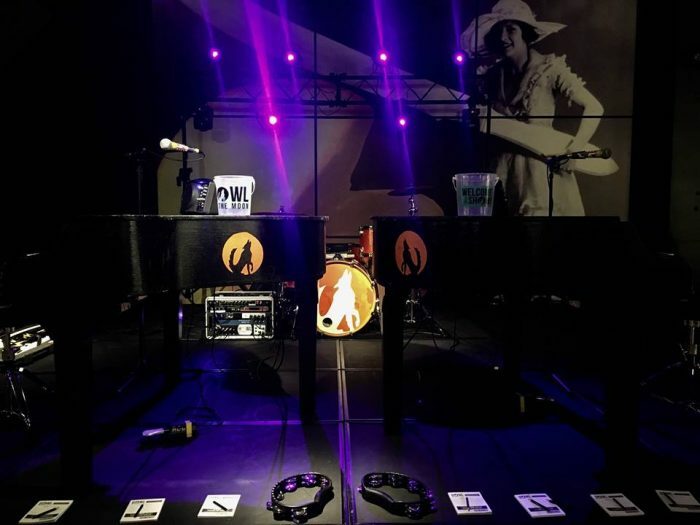 Bring Chicago Dueling Pianos to any venue! Situated right down the street from Howl at the Moon’s flagship location, this venue is an ideal event space. We brought our Howl2GO Chicago team just down the block to perform for a banger of a birthday party. Our custom built pianos weren’t a problem to get to the second floor (trade secret: they have removable legs!). Terrell and Jon hit the stage and partied with the guests until late into the evening. Not many people think they need live music for a birthday party – a DJ will be enough. But for a truly unforgettable experience, call us on (844) HOWL2GO and bring us to your next Chicago event, what ever it may be! This exciting venue is the perfect place when you are looking to go out and have a great time somewhere outside of the usual. Their renowned rooftop bar and spacious nightclub make Joy District the right place for both hanging out and grabbing a drink and partying late into the night. Joy District is also a unique venue for a private event. The exclusive nightclub feel will give your event a special flair that is hard to capture anywhere else. If you are a fan of brunch, Joy District also has you covered. Every Sunday is a delicious brunch buffet—with a mimosa package available. After a fun night partying hard, come by the next morning for some great food and some morning mimosas! Joy District is the next place you should suggest to your friends when you are ready to have an amazing night of drinking and dancing!